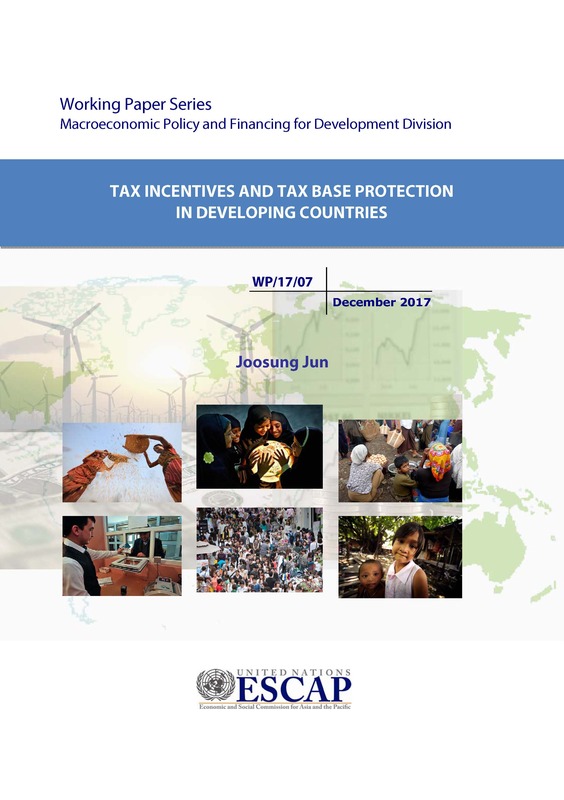 This paper considers the implications of using tax incentives for improving the tax base in developing countries, especially in the context of enforcement difficulties and international capital mobility. Noting that the tax structure in developing countries reflects pressures stemming from the large size of the informal sector and the prevalence of tax evasion in the formal sector, it suggests alternative channels through which the use of tax incentives can help protect the tax base, at least in the interim period. Governments can support the tax-paying local firms operating in the formal sector by providing tax incentives that appear to be more generous than warranted by their perceived effects on marginal investment, along with nontax benefits such as easier access to bank loans. In the process, foreign firms that are prone to tax evasion via profit shifting might be discriminated against, explicitly or implicitly, through a variety of regulations. In addition, the paper argues that the efficacy of investment incentives in attracting foreign investment is understated and the prospect of base erosion due to tax competition is overstated in the literature. The conventional prediction that the incentive effects increase with stronger investment climates may be technically correct, but seems to be too simplistic as a policy prescription. Smaller effects of investment incentives imply lower revenue costs unless these incentives are redundant. At the margin, therefore, tax incentives can possibly be wasted in countries with stronger investment climates, while they can be effective in countries with weak investment climates but strong rent potential such as natural resources or other locational advantages. Even countries with weak investment climates and low rent potential can still use such incentives as a signaling tool for prospective investors at a low revenue cost. The case study of Hong Kong, China; Singapore and Republic of Korea confirms that effective use of tax incentives critically hinges on country-specific factors and priorities, defying ‘one-size-fits-all’ best practices. In Hong Kong China, market-friendly investment environments, including a simple tax system with low and uniform rates, were a dominating factor to attract foreign investors. Singapore has been very proactive in providing foreign investors with generous tax incentives as part of investment-friendly environments, but has adjusted the extent of these incentives with their declining efficacy at the margin. In contrast, Republic of Korea provides a case in which countries with relatively weak investment climates can still make good use of tax incentives. The potential role of its tax incentives has sometimes been stretched beyond their purported goals, effectively serving as an incentive for firms not to shift their operations into the informal sector or abroad. This paper discusses various proposals that can reduce informal activity and tax evasion, which can also lead to a reduction in corruption. It also suggests that countries set statutory corporate tax rates in conformity with the neighboring countries with similar economic attributes in the face of increased profiting shifting by multinationals. Then, existing investment incentives can be adjusted in a most cost-effective way, taking into account country-specific characteristics such as general investment climates, the nature of local rents and the size of the informal sector as well as policy environments such as administrative capacity and the efficacy of the overall tax system.